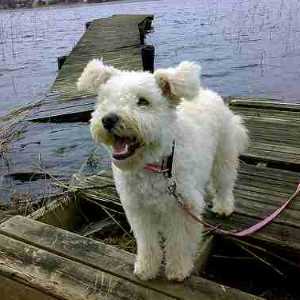 Pumi Dog Breed: Super Cute, But is it Right For You? The Pumi is an affectionate, playful, medium sized dog that is also fairly low maintenance. They’re well known for their terrier like behavior, which is appropriate given their history as herding dogs. The mischievous and bouncing personalities of the Pumi are sure to give an owner plenty of laughs and memorable moments, with each being a unique addition to the family. While it is most famous as a herding dog, it was also used to hunt wild boar. Coat Type: Medium length, dense and curly. Often compared to that of a poodle. Activity Level: Active and energetic, comparable to a terrier. Good with Children: The Pumi is known to coexist well with children for multiple reasons, one being the breed’s size. These dogs are unlikely to accidentally knock over or harm children. Their playful personalities are perfect for active families, and they will love having kids to play with. They are not recommended for families with toddlers. Remember, these dogs are herders so don’t underestimate their ability to herd your children. Good with Other Pets: This breed is known to coexist well with other pets, especially other dogs. They don't have a strong prey drive, being herding dogs, so it's unlikely that they will have much problems with smaller animals. They will relish in having friends to play with and be more social if they are raised with other canines as well. They have been reported to be aggressive around strange dogs. 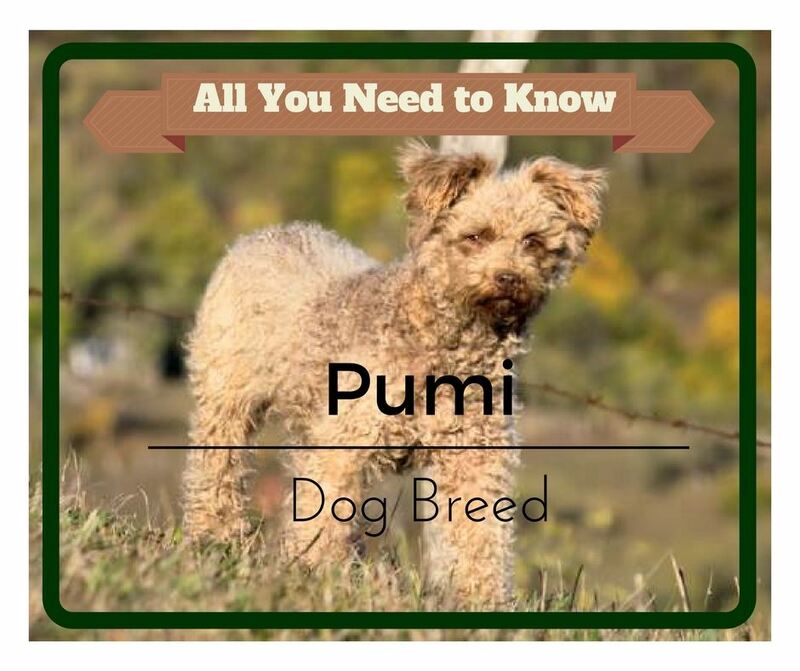 The Pumi itself wasn’t standardized until the early 1900s, however, its history and origins are rich. The ancestors of the breed likely came to Europe from Asia, being used by the Magyars for herding and occasionally hunting. They share the common ancestors of many other breeds, having originated in many basal breeds. It wasn’t until they ended their nomadic existence that they began to come into their own as an individual breed. In Hungary, these dogs could be found quite frequently, as a good herding dog was crucial to a farmer trying to survive. It’s very likely that the ancestors of the Pumi were bred with herding dogs that came from France and Germany, as the people of these countries often traded with each other. Because of this international breeding, the gene pool of the Pumi is vague and relatively unknown. There were three main herding dogs that could be found in Hungary, making the similarities in their names very appropriate. 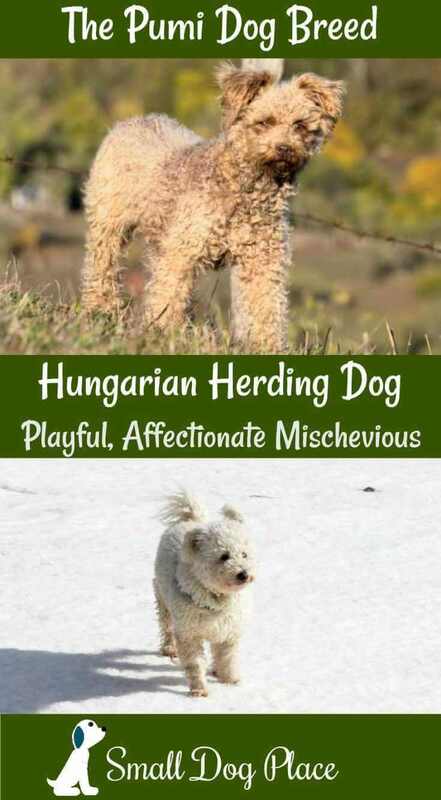 The Puli, Pumi, and Mudi could be found in farms throughout Hungary, being admired for their unique traits while maintaining consistency in herding. The Pumi was most common in the western parts of the country, where it was necessary to drive livestock to fields that were often far from home. The Pumi maintained its simple existence as a farm dog for a long time, with some making it into other European countries. As previously stated, despite the breed having existed for a long while, they were not bred into a purebred breed and standardized until Emil Raitsits took on the job in the early 1900s. 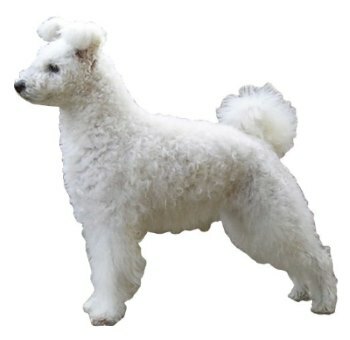 It was around the 1910s and 1920s that he standardized both the Pumi and the Puli. The Pumi, amongst many other breeds that were unfortunately affected by the conflict, saw its numbers drop because of World War 1. Austria-Hungary having played a big part in the war, particularly losing it, it’s no surprise that many dogs lost chunks of their population. The economic impact that the war had on Europe made it difficult to own dogs that weren’t a necessity, and this is likely the reason for why the breed survived. Despite the tragedy, the breed continued to survive and was eventually recognized by the FCI as a purebred breed in 1935. The story was the same with World War 2, as Europe’s landscape and economy was ravaged by the conflict. Again, it was difficult to have extra money to keep animals, so it was the herding dogs such as the Pumi that survived due to their skill in their fields, both literally and physically. The breed rebuilt its population as it moved forward. They proceeded to be exported into Finland and Sweden in the 1970s and 1980s, where they became a popular breed that is still common in the two countries to this day. The breed eventually made its way into the US around the same time. The US saw a huge post World War 2 economic boom that saw companion dogs become a popular sight in the country. While the Pumi was quite late on this train, it was still not used nearly as much as a herding dog in the new country. They became family dogs, moving from guarding herds to homes and white picket fences. 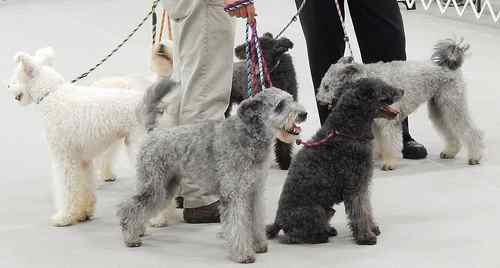 The Pumi is relatively rare in the US still, having only been recognized by the AKC in 2016 as their 190th breed. 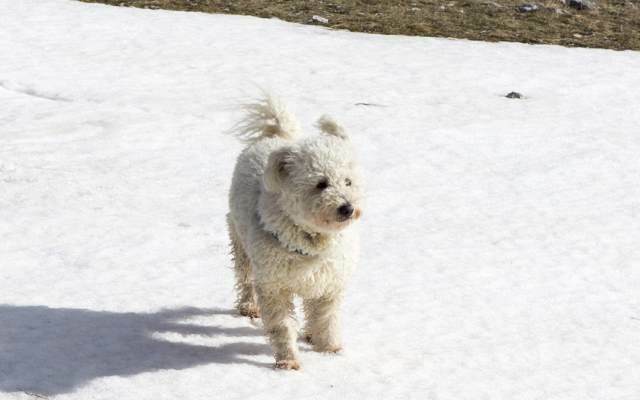 The Pumi Dog Breed does not tolerate extremes of climate well. The Pumi, being known for its terrier like behavior, will keep its owner on their toes as they look forward to the next goofy encounter. The inexplicable excitement of these dogs makes them a joy to have, as they are ready to go wherever you do. They have plenty of energy to play and go on walks, which is a crucial part of keeping them happy and healthy. Without daily exercise, their excess energy can manifest into bad behavior, on top of making them anxious. The breed is not too notorious for being especially vocal, at least more than an average dog. They’ll bark at appropriate things, like a UPS man or the odd squirrel, but they tend to keep quiet. Any anxious dog will bark. Early socialization with a myriad of sights, smells, and sounds will help a dog immensely in the long run when encountering unfamiliar things. Socialization is crucial for the Pumi, as they can be protective of their pack. They will put themselves in between their owner and whatever they may see as a threat if need be. If they are well trained, they will be able to make the discernment themselves according to how their owner is behaving. Frequent walks around the neighborhood are a great way to introduce a Pumi to its neighbors and its fellow canines. They aren’t ideal for city life, however, as this environment can be overwhelming to them. For the most part, they will be aloof and wary around strangers, but tend to warm up quickly. This wariness towards humans can be shared with other animals, however, they tend to coexist well with other pets. Being herding dogs, they’re not known to have much of a prey drive, and don’t really bother smaller animals. It’s ideal for them to be raised among other pets and fellow dogs instead of the other way around, as they will have a founded idea of who their pack is. Sharing the house with other dogs will make them less anxious around ones that are strangers to them. Given that they don’t have too much of a prey drive, they do not require a very strong fence to keep them inside the property. It’s still important to have some sort of barrier keeping them from running into the street or chasing something that peaks their curiosity. While a fence is obviously the most effective deterrent, an invisible fence can work due to their size. It’s best to not have them in very densely populated area anyhow, as this will give them many things to be anxious about as well as chase. The Pumi is known to be good with children for a variety of reasons, the first one being its playful personality. These dogs will love to have extra friends to keep them occupied. Their size makes them unlikely to accidentally knock children over or injure them, with smaller children being an obvious exception. Children must always be taught how to handle the dog before play, and small children should be supervised while interacting with them. It’s ideal to have the dog raised with children, as this will make them more accustomed to the behavior and noise of young people. This breed is well known for its ease in training, as they tend to be intelligent. They will pick up on concepts quickly, however, they do need a consistent owner that establishes themselves as a clear leader. As with any dog, the yes’s need to be yes’s and the no’s need to be no’s. It’s always best to reward good behavior rather than punish bad behavior, as this will make them more apt to the training process. The Pumi tends to be an independent breed, having been left to its own devices with a herd in a field historically. As a result, they aren’t known to be have much separation anxiety. On top of handling being alone well, they tend to handle weather extremes well too. They cannot be left out in extreme heat or cold for extended periods of time, and certainly won’t appreciate being left out in the rain. The Pumi has some pros and cons regarding grooming. An admirable quality of their coat is their lack of shedding. This keeps a household free of shed hair, as well as making them more hypoallergenic. On the other hand, their hair grows consistently and can become matted. Most owners recommend combing at least once every two or three weeks to prevent matts. Most owners will recommend bathing as needed, as their lack of shedding lets things that are caught in their coat to hang around. On top of bathing and combing, it's important to have a Pumi’s hair trimmed or groomed at least twice a year. Altogether, this breed does not require much maintenance. An important part of the grooming process is tending to a dog’s nails. While they don't need nor want manicures, they do need their nails clipped regularly. Most owners recommend clipping as needed, or about every 3 weeks or so. A good way to tell if a dog’s nails are becoming too long is if they can be heard clicking against the ground as they move. Cleaning a dog’s ears regularly is also an important habit to maintain. Dog’s ears tend to get things caught in them, being relatively large. The Pumi’s ear shape gives them more airflow, making them less susceptible, however, they must be cleaned and checked nevertheless. Most owners recommend cleaning at least once a week. This will remove excess wax as well as any sort of dirt or bacteria that may be caught in them. Brushing a dog’s teeth isn't something that would come to mind normally, however, it's a big part of their hygiene. Regular brushing will remove plaque, prevent tartar build up and keep the dog’s breath fresh, as dog breath goes at least. Most owners recommend brushing at least two to three times a week. Overall health and life span prediction. List diseases that are common in the breed. You can make mention that some diseases and problems are common to all breeds such as getting fleas and ticks, or those diseases such as Parvo that we vaccinate against if it looks like the article may be too short. Dogs need health care, just like humans. Unfortunately for both canines and humans alike, this isn't an endowed privilege and it must be taken into consideration when getting any pet. It's very important to can provide ample health care to a dog, this includes vaccinations, medicine and regular vet visits. On top of these health conditions are problems that can affect any dog. Fleas, ticks, worms and other parasites as well as sickness are things to consider as well. Prevention and wariness is the best medicine. Purebred dogs must also be purchased from a reputable breeder. A good breeder will be able to answer any questions you may have about the breed, as well as can pass any health checks for their dogs. Any breeder that suggests that these are mere formalities should be discounted immediately. The Pumi didn’t really have too much of a celebrity following since it had been a working dog for such a long time, but they are surprisingly popular in Finland and Sweden as I had previously mentioned, which I find a curious and funny fact.